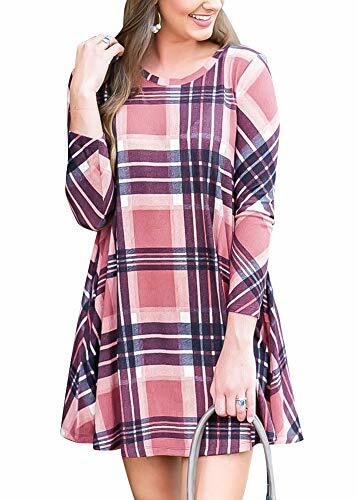 This mini dress is complete with plaid prints and a round neck. A line sharpens the look, and a tie belt defines the waist. Please check your measurements to make sure the item fits before ordering. Body Size Chart (in inches)International Size----Chest Girth----Waist Girth----Hip Girth-----Shoulder WidthXS--------------------------33-----------------25----------------35 1/2---------14 3/4S----------------------------35-----------------27----------------37 1/2---------15 1/4M---------------------------37-----------------29----------------39 1/2---------15 3/4L----------------------------40-----------------32----------------42 1/2---------16 3/8XL--------------------------43-----------------35----------------45 1/2----------17 Measurement (in inches)International Size----------LengthXS-------------------------------31 7/8S---------------------------------33M------------------------------- -34 1/4L---------------------------------35 5/8XL--------------------------------37 The measurement of length is from shoulder to bottom. 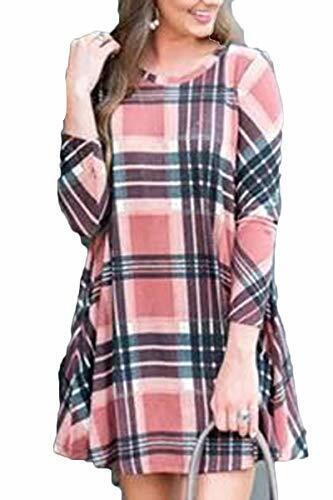 Intimate Boutique Women's Plaid Flowy Tunic Dress with Side Pocket Unique and Chic Style, Get an Eyecatching Look! 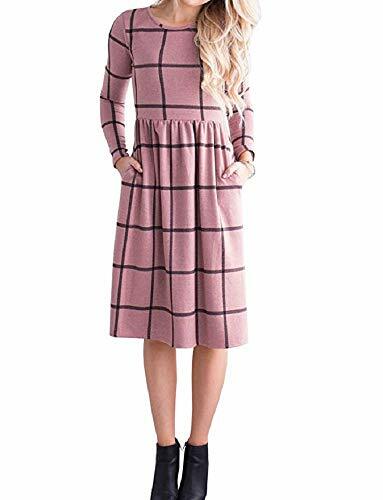 Women's Long Sleeve Plaid Tunic Dress Made by Intimate Boutique. 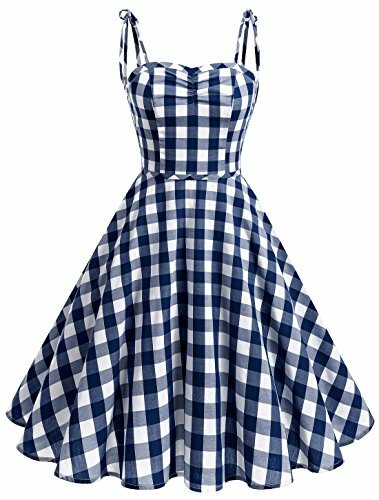 SIZE GUIDELINE: S US (4-6) Chest: 35.5 Inches, Length: 35.0 Inches, Sleeve: 24.0 Inches. M US (8-10) Chest: 37.0 Inches, Length: 35.5 Inches, Sleeve: 24.5 Inches. L US (12-14) Chest: 40.0 Inches, Length: 36.0 Inches, Sleeve: 25.0 Inches. XL US (16-18) Chest: 42.0 Inches, Length: 36.0 Inches, Sleeve: 25.0 Inches. 2XL US (18-20) Chest: 45.0 Inches, Length: 36.5 Inches, Sleeve: 25.5 Inches. 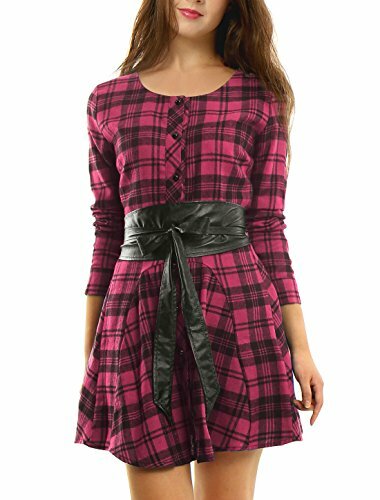 PRODUCT DETAIL: Women's Plaid Long Sleeve Flowy Tunic Dress with Side Pocket. Long Sleeve, Plaid Print Style, Side Pocket, Scoopneck. The Material is Lightweight and Soft. NOTE:How to Keep Your Intimate Boutique Dress's Design as Beautiful as Possible: Machine Wash in Cold Water, Dry Flat. Material: Well Made 65% Cotton & 35% Polyster. Occasion: Fall, Spring, Daily, Work, Vaction, Shopping Wear. 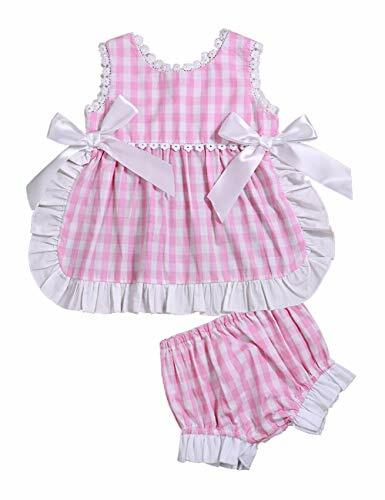 Package Includes: 1 x Dress, other accessories not included. Warning: The photos of models from our store Intimate Boutique is Original Apparel. Photos posted without permission will infringe on any rights holders rights. 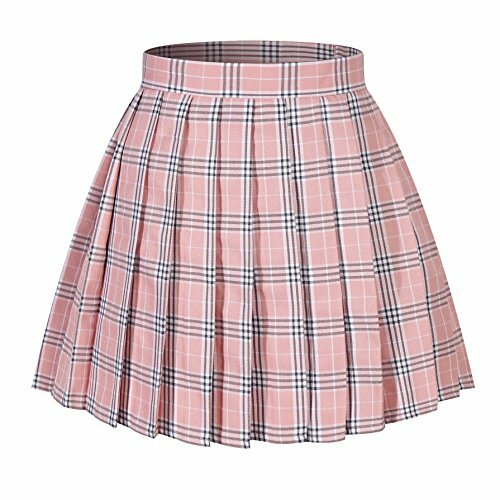 Size Cart: Size Chart(Unit:cm/inch) Size:S Bust:90cm/35.4" Waist:104cm/40.9" Length:82cm/32.3" Size:M Bust:95cm/37.4" Waist:108cm/42.5" Length:83cm/32.7" Size:L Bust:100cm/39.4" Waist:112cm/44.1" Length:84cm/33.1" Size:XL Bust:105cm/41.3" Waist:116cm/45.7" Length:85cm/33.5" Season:Summer,Spring Gender:Women Occasion:Casual,Party,Daily Package include:1*Women Dress Note:There maybe 1-2cm deviation in different sizes,locations and stretch of fabrics.Size chart is for reference only,there may be a little difference with what you get.Please check the Size Chart before order. If you are not sure the size, please send message to us.